When we would get these at our favorite Chinese restaurant, I tended to save them for dessert. They are delicious. Pick over the crab to remove pieces of shell. 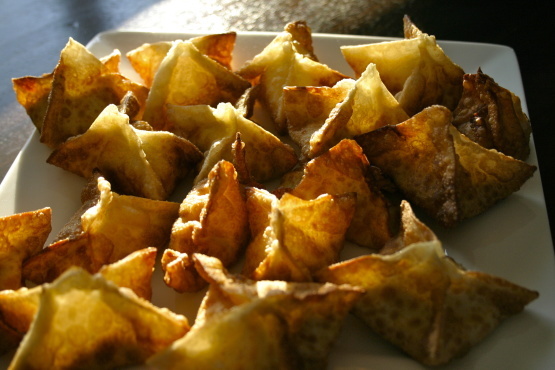 Use only about 1/2 teaspoon of filling for each wonton. Seal edges with beaten egg. (Make sure you squeeze out all the air or they'll pop open during frying and make a real mess)! Deep fry at 350º until golden brown and crispy.